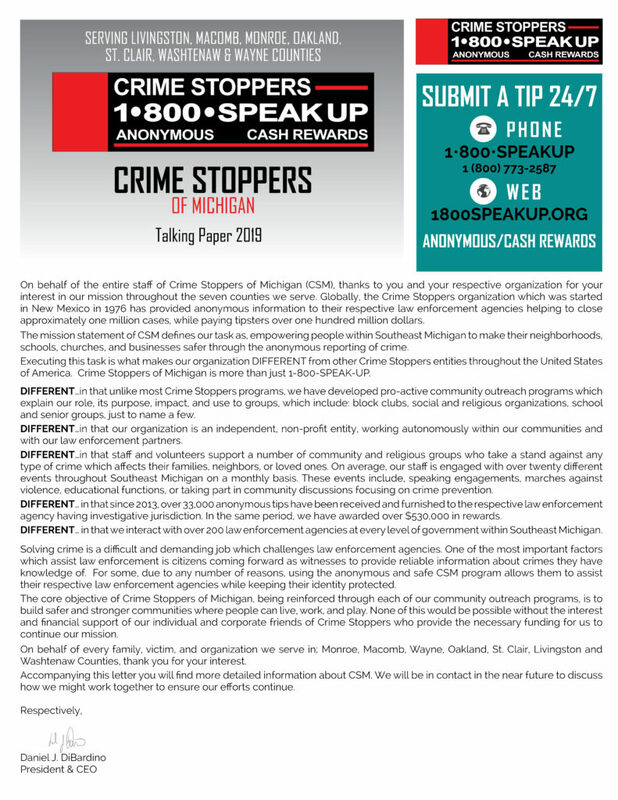 To empower people to anonymously report crime to prevent and solve criminal activity while increasing safety in our neighborhoods, schools, churches, and businesses. 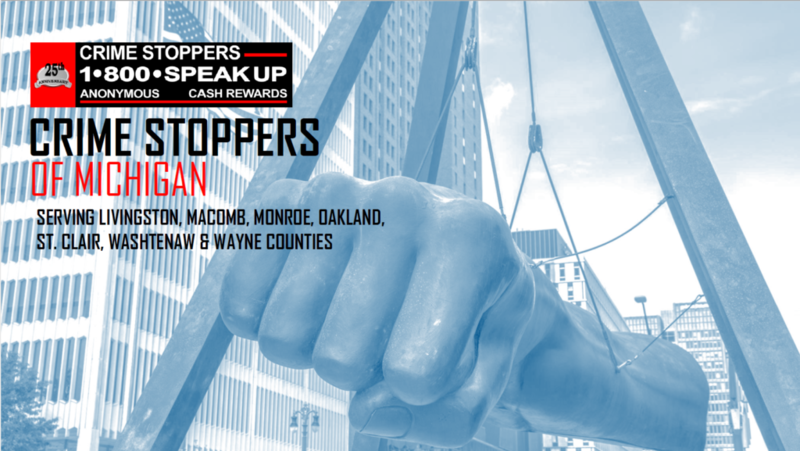 Crime Stoppers’ staff and volunteers continually advocate for communities throughout our seven-county region of Southeast Michigan. 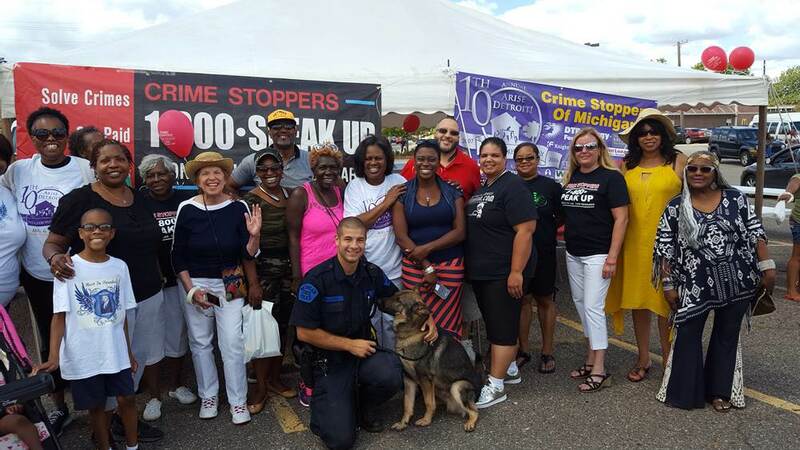 Our community outreach programs are designed to both educate the public about CSM and encourage residents to be proactive, by speaking up if they become aware of crime in their community. It is extremely important to recognize that behind our work, there are real families that have been devastated by crime, real families whose lives had turned upside down, and real families that may never know “normal” again. Alexandra B, the 31-year-old nurse, shot in the back while jogging in Rose Twp. Herman G, the 81-year-old Air Force veteran, was carjacked, robbed and shot. 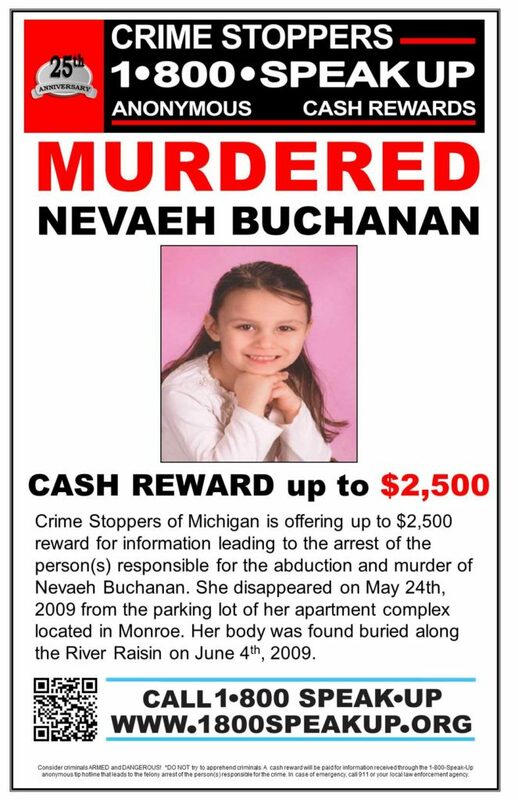 Nevaeh B, a 5-year-old little girl, who disappeared from a parking lot in Monroe, and was later found buried along River Raisin. Douglas C, a chef, and ex-Marine reported missing and eventually found dead in a container in Detroit. 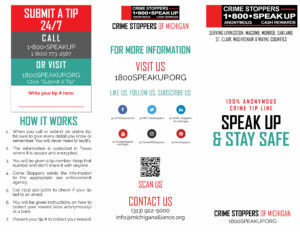 The 11-year-old girl, who was raped in Highland Park by an unknown adult male. The senior citizen in Oak Park, who was the victim of fraud, losing over $7000. 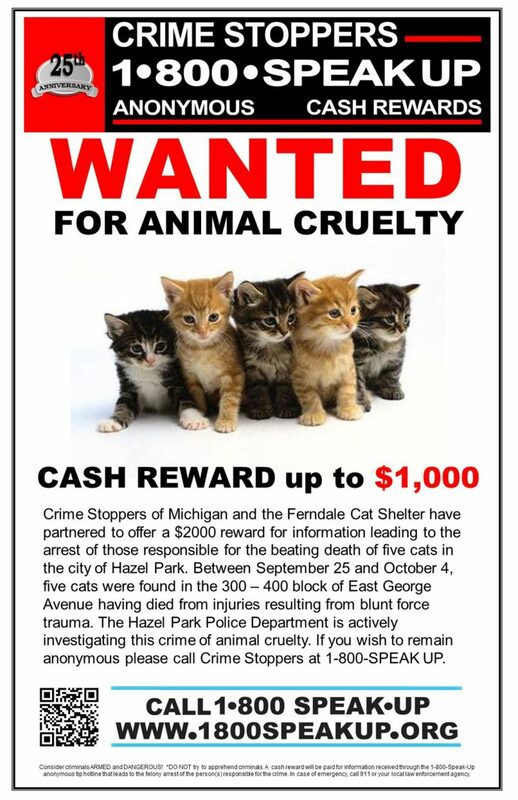 The family of five kittens found beaten to death in Hazel Park. With your support, we can continue to work with families like this and their respective law enforcement investigators, until someone speaks up. With your support, the persons responsible for these crimes and many more unsolved cases can be identified, arrested, and brought to justice. 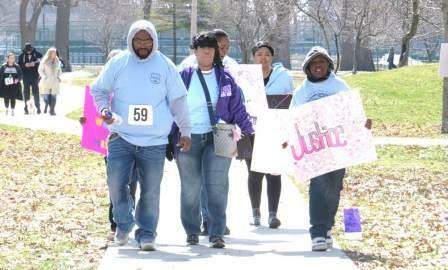 With your support, the families we serve can continue to have hope that someone will step forward.